Just like many, you have an awesome app concept that’s been eating you up for so many days, but absolutely no idea how to turn that concept into a live mobile app? Well, with the mobile market increasingly expanding all across the globe, it is becoming more and more important for businesses to not only become competitive but also have a mobile application for their business. With that idea, some suggest you to hire a couple of developers or invest a fortune in your concept, and others may tell you that it is too big of a risk to take. 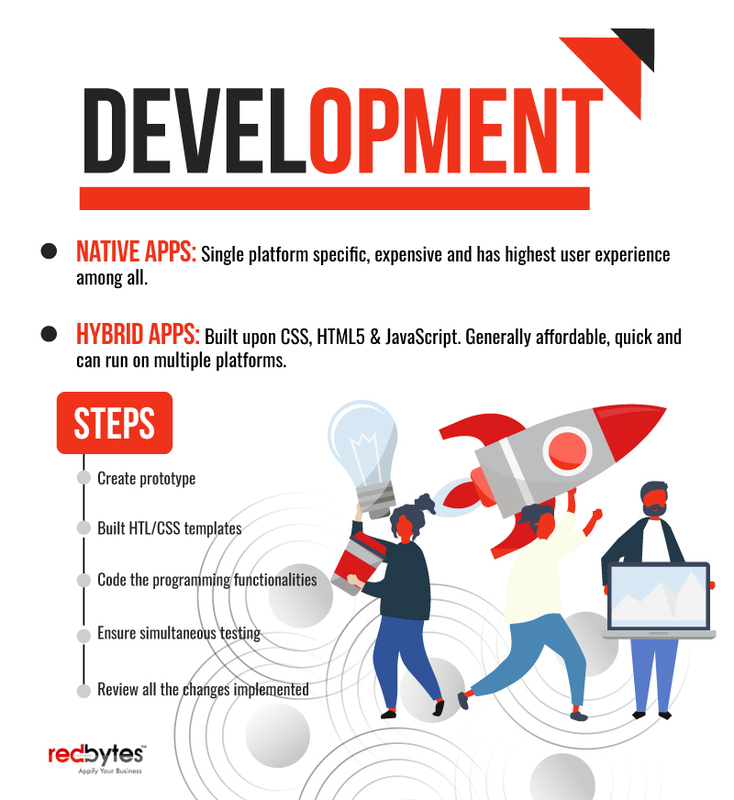 But what you don’t know is that there are tonnes of mobile application development programs out there which can assist you in getting started right away. All you need is some good planning and methodical work from your side. In this post, we have a detailed guide that will help you in creating an exceptional mobile app. Let’s get started. Shut down all electronic devices for a moment and take a pen and paper. Now define your purpose behind the mobile application development and what is that you want to achieve ultimately. Don’t worry. I’m not asking you to code or design or anything remotely that is even remotely close to it. Sit down and answer the following questions. Of course, you don’t have to answer to me. This is for your clarity. What problem does your mobile app solve? What exactly do you want your mobile app to do? How do you make it stand out from your competitors? Will it make things easier for your customers? How are you going to market your mobile app? Unless/until you have a goal that is well-defined, it will be impossible to survive in the industry regardless of what business you are into. A lack of vision will not only pester you but also every employee who works for you. So before you start doing anything, first have an obvious picture of what you need. Now that you have answers to the above-mentioned questions, start developing an outline of what your answers will look like. If you do so, you will not only have worded ideas but also a clear visual representation of what exactly you need. 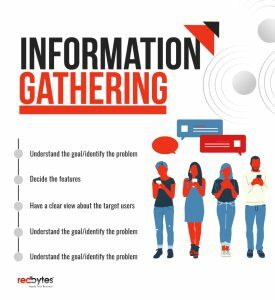 Now it’s time for some indeed extensive research as you have to dig deeper and learn more about the competition that surrounds you and your mobile app idea. No matter how unique your app idea is, there will always be someone who’s already having a mobile app that is pretty much similar to yours. So closely observe the competition and customers’ needs to make your mobile app better. What kind of technical issues might you face during the development process? Once you are done with this, you can start researching on some cool and creative design ideas that will help you get started. In this step, you can give a little more clarity to your idea outline along with the design idea through a wireframe. This will become the basic aspect of your app development and yes, it is important. There are a lot of platforms that provide wireframe services so that you can know how your app idea looks with its features and functionalities. Now that we are done with the wireframe, you now have a better idea of how your app functions or at least how you want it to function. It is now time to utilize that information to start examining the functionalities. Utilizing your wireframe, you have to portray your APIs, server, and data diagrams. No idea how to do that? Don’t worry. There are some excellent DIY (Do it yourself) app builders which can offer you the right tools to effortless do this. Of course, there are some who even are willing to do it for you. If you are not so familiar with these technical aspects then you should utilize a service which offers these services. This is where you try and make modifications to your app. Show it your friends, family, or anyone who can give you a constructive feedback on your mobile app. Don’t fall for “This is perfect.” Seek out honest people who tell you about what aspects the app can be improved. In the end, you want to finalize your mobile app’s structure and foundation. You have to make sure that the app has everything to run smoothly on your users’ devices to avoid unwanted problems later in the process. With everything in place, you can now begin to put everything piece by piece together to develop your mobile app. To begin with, your developers will set up your APIs, databases, etc. and in case you are utilizing a good DIY app builder then it will be done for you. Make sure you act on the feedback that will be given by your testers. 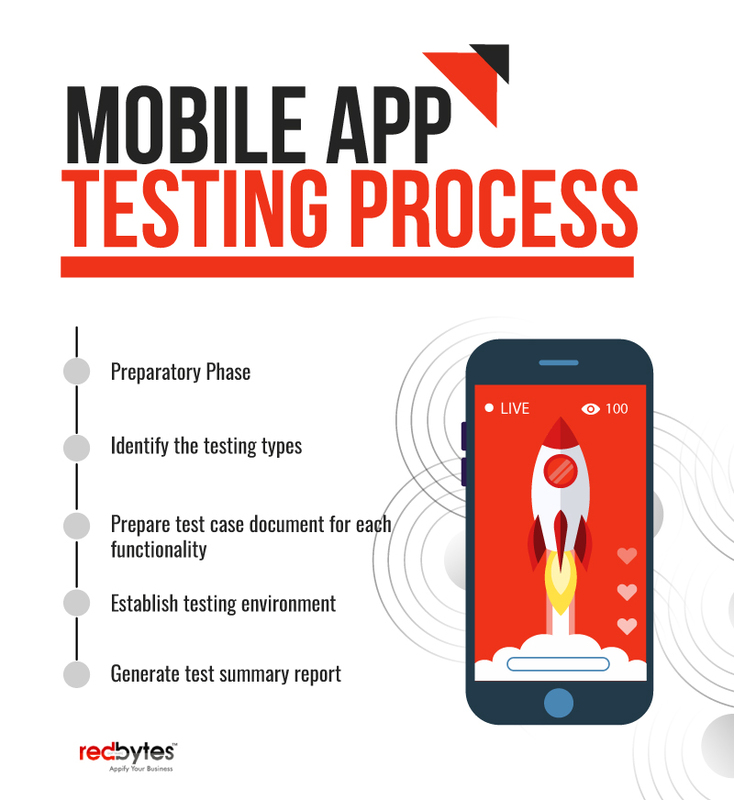 Modify your mobile app functionalities accordingly after your first phase of testing. It is now time to get the best designers on-board to create your app’s User Interface. UI is one of the most important aspects of a mobile app for users like how things look and how easy it is to navigate. 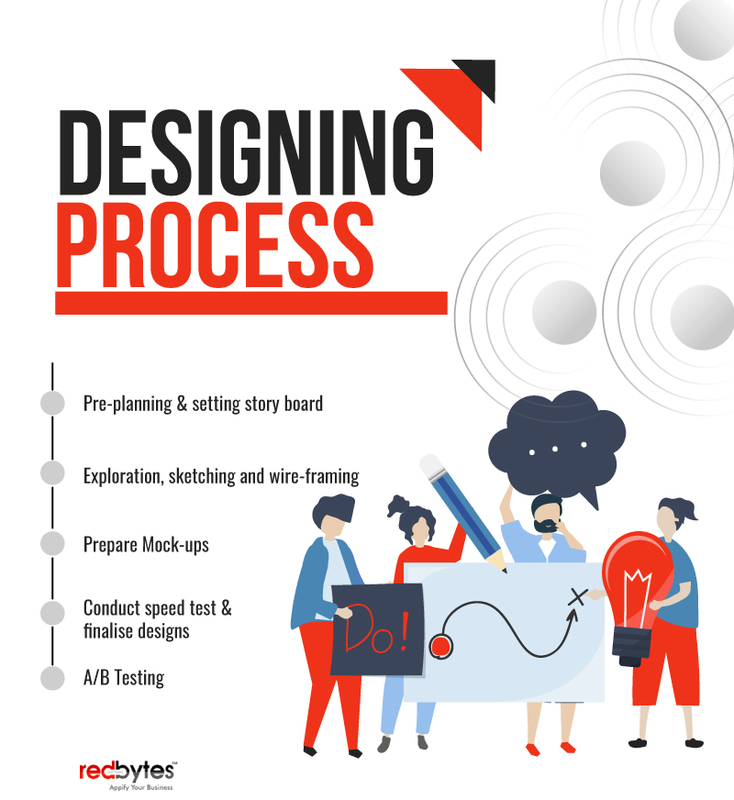 Throughout the designing phase, you have to maintain the feedback that you received from your testers and then ensure that every little modification is done and the design clearly reflects the before and after changes. Once you get your prototype done, and have shown it to testers for feedback and got them done, have the same people to take a look at it again to check if any errors are left out. Now again ask them for feedback and utilize it accordingly. 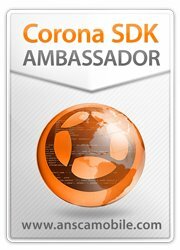 Last but not least, ask the developers and designers who are helping you in building your mobile app for any changes that they think are important to make. 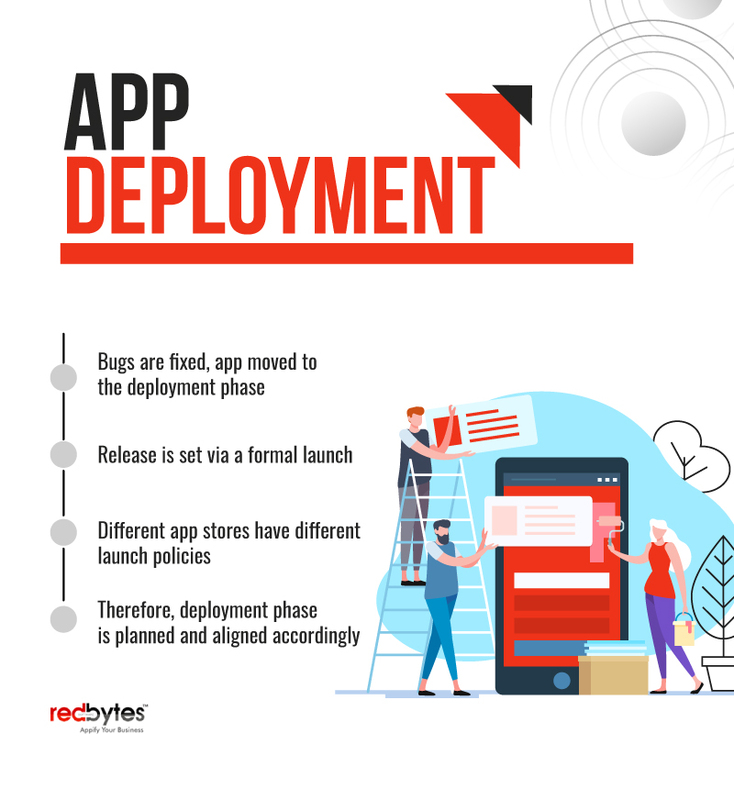 Now, everything is done and your mobile app is ready with rich-featured functionalities and problem-solving capabilities. All you need to do now is that, check how your mobile app works in a live environment. When compared to iOS, Android makes things a little easy for the users. However, both have their own pros and cons. For Android, you can simply upload your application on any Android device and test it to see how it works in a live environment. And for iOS, you first need to utilize a platform known as TestFlight to beta test your application. Apple will direct its users with good instructions for utilizing the best test platform. In addition, you get to invite testers to check your app before going live. You are just one step away from making your app going live. Now, you can upload your mobile app to the Google’s Play Store/App store by following their guidelines. In the case of Android, it will not be reviewed instantly but you can immediately sell your mobile application in the Play Store. On the other side, for iOS, your mobile app will be reviewed before it goes live. However, there is no specific time frame to review your app. But you can expect more or less a week of waiting. You think you are done? Nah. Just because your app is available in Play Store or App Store doesn’t mean you have nothing else to do. You need to market your app. Well, we can’t add another step saying “Step 12: Marketing your app.” You need to do a good research on app marketing strategies so that the rest of the world knows too about your app.